New Delhi: The Vice-President of India, Shri M. Venkaiah Naidu launched the New Delhi Edition of Marathi daily ‘Lokmat’ at a function here today. Speaking on the occasion the Vice President said the media has great power to influence the people and the Fourth Estate should use this freedom of expression to spread harmony and contribute to the nation’s development. Shri Venkaiah Naidu said the media should exercise the freedom of expression with responsibility. “When the freedom is misused and expression becomes distorted and dangerous and you overstep, the law will have to step in,” he added. Cautioning the media not to let itself become a tool in the hands of rumour mongers, Shri M. Venkaiah Naidu said, “Information with confirmation is great ammunition; without confirmation, it remains gossip and can lead to dangerous rumour mongering”. Asking the media to exercise self-restraint, the Vice-President said if the control is from without, it would prove more dangerous. It can be profitable only when exercised from within, he added. 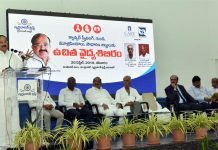 “You should hold the mirror to the society but the mirror should be a straight one, not convex, concave or contorted,” said Shri Venkaiah Naidu. “ News should be news, views should be separate,” he added. “News is a public good. Please use it for enhancing the “good quotient” in society. You have the power to influence, use the power wisely,” said the Vice President. 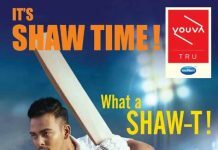 “Use it to get to the truth (Satyam) and share it for the larger societal benefit (Shivam) in a beautiful format(Sundaram),” said Shri Venkaiah Naidu. Recalling the words of Kashmiri poet Mammata Bhat, who lived in the 11th century, the Vice President said when the poet was asked why he wrote, he replied: “to earn fame, to make money and above all to reduce the negative influences on society”. Shri Venkaiah Naidu said the Father of the Nation, Gandhiji looked upon journalism as a means to serve the people. He advocated self-restraint and felt that external censorship will not be desirable. Bapu wrote in his autobiography: “The sole aim of journalism should be service”. Shri Venkaiah Naidu recalled the history of the Lokmat newspaper, which is entering into its centennial year this day, and its contribution to India’s freedom struggle.